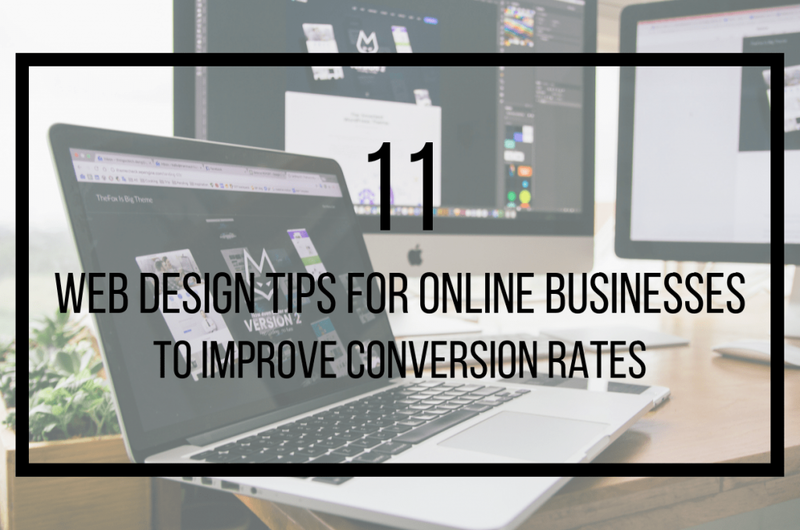 How do you boost your website’s conversion rates when you create your e-commerce website? While most digital marketers focus on the importance of SEO, social media, and crafting lead magnets that convert, one most commonly overlooked aspect is having an excellent website design. For some people, having a great website design might not seem much, but it has the power to make or break your conversion rates. The F-pattern is the way users eyes move when they read online content. In just a matter of seconds, it will run from a website’s copy, and other visual aspects of the site ? scanning everything. First, the eyes will move on the top page to read the headline. Then it moves to the left side of the page to view the number of points and numerals. Finally, across the page again, to quickly scan for bold texts and subheadings. Keep in mind that the F-pattern doesn’t necessarily follow the F-shape. Instead, it’s more of a rough, more generalized outline. You might be wondering how this applies to landing page. Usually, your viewer’s eyes will start on the topmost left corner of the page, before scanning the entire content. So, if you have a busy landing page, and you want a particular element to stand out (such as a countdown timer, for instance) you have to place it on the top left corner. Then, design the page to have a precise flow and visual hierarchy leading users directly to your CTA. Negative space or whitespace is the area in your webpage that isn’t occupied with specific content. Just as the aesthetic of your webpage, you also have to be aware of the physical space that’s being filled by each element. It generates a break on the webpage: When too many messages appear it a single page, it’s difficult for the reader to find essential information and take action. It features a centralized message: Negative spaces makes the material more readable, without necessarily changing the font or style. Directs the flow of a page: It subtly redirects movement, creating visual relationships on the subjects of the webpage. Highlights other visual elements: White spaces make these elements “pop” which has the power to change the visual message a user sees. The rule of thirds can be applied to web design to come up with excellent proportions and aesthetics. It creates incredibly stunning layouts, boosting conversions and attracting more visitors to the website. These days, a lot of people are impatient when it comes to surfing the net. In fact, in a study by the Aberdeen Group, even a one-second delay of your page loading time can result in a 7% reduction in the total conversions. So, every second does counts when it comes to page loading speed. When used the right way, landing pages can give you a large chunk of traffic that could generate a lot of cash flow for your business. It should have the same language and tone your target audience use. Cut down words to a bare minimum. Have a photograph of a human. Stands out from the rest of the page. Anything not directly related to the offer is removed. If long, it’s broken down to a series of steps. A call to action button or a CTA is a situation where you want your readers to do something. No matter how well-informed your readers are, they still need a little push. That’s why you need to craft a CTA that aligns well with your strategy. A useful CTA button should be easily clickable, prominent and have an excellent background-to-text contrast so that it stands out. Also, it must have a bold and punchy headline, and a precise and on-point button text. Remove the hassle from the check-out process by making forms that are well-built and thoughtfully designed. Do all of your fields have clear labels? Is the form human-readable? Sometimes, paying close attention to these little details can give your users less frustration during the checkout process. A great color combination can set the overall mood of your site. Different color combinations as it has the power to evoke different reactions and emotions from your readers. So when picking a color scheme for your site, see to it that it evokes a particular emotion that your brand or business wants to convey. Additionally, you also need to use contrast to keep your headlines, texts, and CTAs stand out. For you to sell more, you need to produce high-quality product images. The idea here is to make it feel personal as possible. So, don’t make your images too “stuffy” and bland as it can turn potential customers away. Instead, focus on creating compelling images! People consider social proof such as testimonials and reviews before making the final purchase. These increase the conversion rates of a website. Take note that these suggestions are usually browsed by a potential customer when purchasing for the first time, so these should be visible and highlighted in your website. Your social media accounts and activity can be considered social proof as well. If you haven’t already, you should create your social media presence on the different social media channels out there because this gives you credibility because your potential customers can see you engaging with other people. Maybe their friends and colleagues know and talk about you, and they may consider this as a sign that you are trusted and reliable. You can try testing out minimal changes on the particular elements on your conversion funnel. Then, closely monitor the results of these changes. If there aren’t any substantial results, try introducing different layouts and concepts to boost your conversion funnel. Initially, if your challenger design loses, try testing an opposite approach when it comes to the content and desired action. Chances are, the rejection of users to your first design can lead you in the right direction when it comes to creating the design that they want. First impressions do matter. If you don’t build a website that’s attractive enough, users will leave your site altogether and translates to a lot of lost leads. So, now is the time to focus on creating the perfect web design for your business.